The Unique Invitation cards you wont see anywhere! The union of two hearts “wedding” is incomplete without the presence of relatives and friends to witness the occasion. 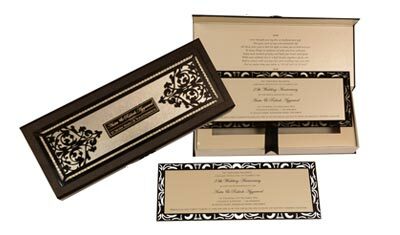 Here, wedding invitation cards comes into the picture; it is needed for cordially inviting the guests and also officially announcing the wedding to the world. 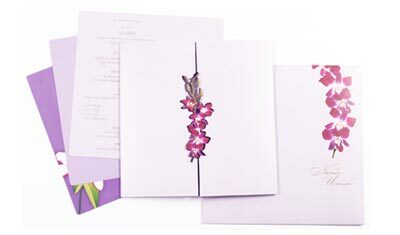 The quality of card conveys the magnificence of wedding. A mere look at it will convey the guests the grandeur of the celebration. 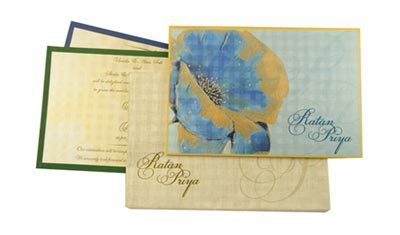 We, Indian wedding card stores, are pioneers in designing magnificent wedding invitation cards that will simply leave your guests spellbound. We understand this is once in a lifetime occasion, so the invitation needs to be stunning like other wedding related things. We have a team of highly accomplished and immensely experienced designers with in depth knowledge about the different faiths. This helps them to come with cards that are a beautiful blend of valued tradition and contemporary concepts. When experience is intelligently coupled with supreme quality material and creativity the result is truly unique and majestic invitation cards. 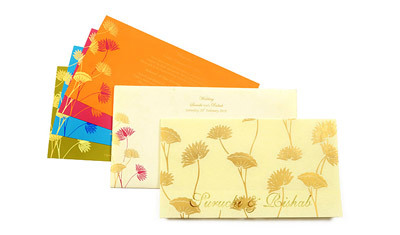 We gladly offer free customization facility for all cards whether it royal scroll invitation card or special occasion cards as a personal touch makes it more special. Take a look at our exclusive collection you will fall in love with it after all wedding is all about love and commitment.